Following the release of their debut album, Little, Big, early this year, locally-based experimental rock act Shapers are preparing to drop a new 7" single November 16 on Whistler Records. "Virginia Reel," a raveup tune which you can hear and see the band perform below, will be backed by "Happy Birthday Polywog." You can also currently grab a free mp3 of "Virginia Reel" via the Whistler Records website. Next month Shapers will be heading east for their first mini tour, but also have two home city shows on the schedule: Tuesday, October 26 at Fireside Bowl (with the 1900s and Verma) and Monday, November 15 at the Empty Bottle. Virginia Reel from SHAPERS on Vimeo. 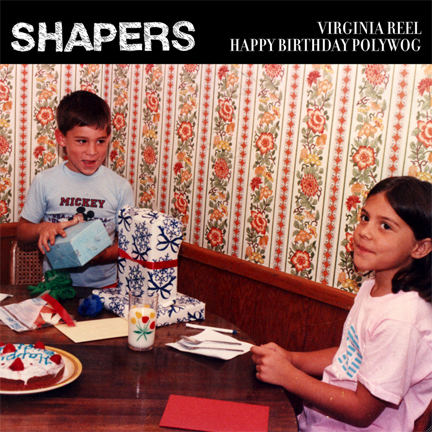 Always Shapers are interesting while introduce their albums.